Priority 1 Canine - Why Choose Us? We have extensive experience with police and military canine training, including training the trainers in those arenas. However, our true dedication lies in applying that experience toward providing personal canine bodyguards for individuals and families in need, to keep them safe. This is our focus, and our forte. If you are looking for peace of mind, or a better night’s sleep, we can help. There is nothing “old-school” about our training methods. Technology marches on and so does the science of dog training. Keeping a finger on the pulse of cutting edge advancements in training methods, and often training other trainers in those disciplines, ensures that we keep our programs sharp. We apply modern day training methods in our homes to prepare our dogs for canine performance in your home that was unheard of only a few years ago. We understand sport titles from every possible perspective. A relatively small percentage of sport dogs truly possess the proper attributes to excel as a family protector. We understand exactly how to recognize and select those few perfect candidates, and we are experts in transitioning them correctly into their new roles as family protectors through high-level advanced training. Many large companies purchase titled sport dogs from Europe then attempt to sell that dog directly to you without the necessary additional training. This is unacceptable. When you purchase a P1K9 you become part of our family, just like each of the canine bodyguards we sell is part of our family. The reason is that each of them actually lives in the home of one of our trainers with them and their family. These canines eat with our children nearby, ride in our cars with us, and watch TV with us at night. Many companies have huge kennels buildings with hundreds of kennel runs, and only let the dog out for training. After the training session the canine is returned to its 5x10 kennel run until the next training day. Our method is different. We believe that a canine bodyguard must be trained in an environment extremely similar to that in which it will live and serve its family. Since the canine bodyguard will live in your home with you and your children, will travel in your car, and will lie at your son or daughter's feet at night when they sleep, that is the type of environment in which with train each one of the canines we sell.​ Without this in-home, family environment training, the preparation of a canine bodyguard simply isn't complete. We are a small company, and we serve an exclusive clientele. This focus on quality over quantity allows us to provide the very best possible customer service to you after your canine has been delivered and integrated into your family. At some of the larger companies, customers get lost in the mix. Our clients are truly our first priority. If you have a question about feeding, vaccinations, grooming, behavior changes or just a basic training question, when you call us we answer the phone! Each canine is tested, trained, and proven to excel in the work prior to delivery to the client. 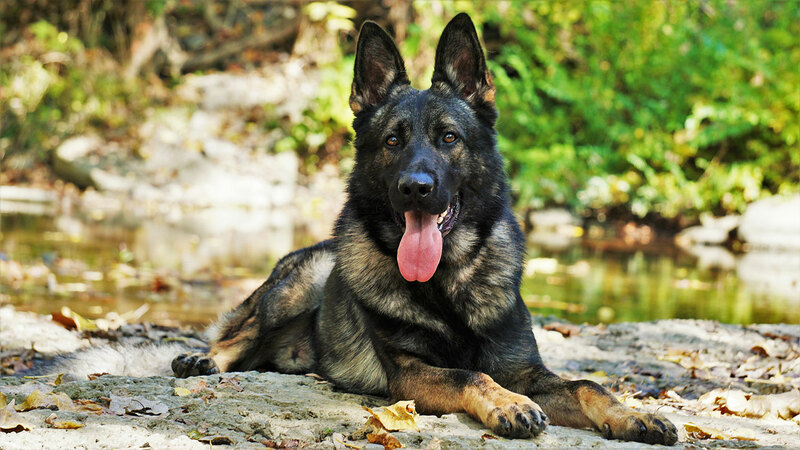 Sometimes clients with a particular need express interest in police or military canines. Proper police or military canines are a different style of animal from our normal canine bodyguards. While it is something that we can and do provide when it is called for, the process of selection and training is different because the canine is different and the needs it is expected to fulfill are different. Be assured, we are expert in the area of police and military canines, and we will not sell you a canine of that type for you to take into your home unless it is exactly what you have requested and we are 100% comfortable with that canine around our own families first.